This research aims to study the religions syncretism beliefs in spirits, deities, and Buddhism in Chula-katin ceremony of Tai Yuan people in Wat Bantap Community, Tambon Thapha, Mae Cham District, Chiangmai Province by investigating the pattern of the location setting and symbols used in the ceremony, focusing on the context of the Tai Yuan’s traditional ceremony. The findings show that the Chula-katin ceremony of Tai Yuan people reflects a system of beliefs in spirits and deities that are traditional beliefs of Tai Yuan people in Wat Bantap Community. Such beliefs have been well-blended with Buddhist beliefs. The place setting for the ceremony is a symbolic area representing belief in the four guardian deities of the earth, Goddess of the Earth, temple spirits, and ancestral spirits. It is believed that these holy bodies are committed to protecting their offspring and guarding the process of Chula-katin ceremony to run smoothly. Regarding the views of Thailand’s leading Theravada Buddhist monks on human rights, Panutat Yodkaew analyses the perspectives from which Buddhadasa and Phra Promgunabhorn looked at the modern concept of human rights. 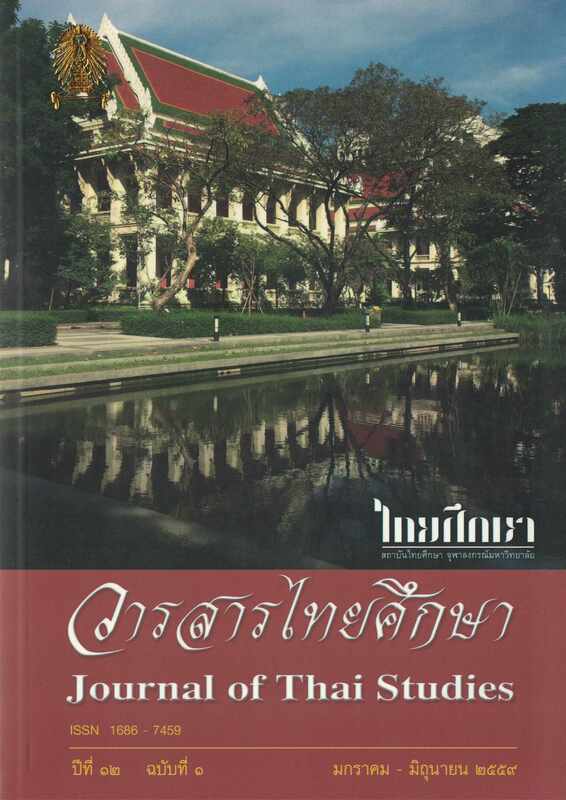 Navigating through their famous pieces of writing, he portrays how Buddhadasa and Phra Promgunabhorn argued for elimination of avijja or ignorance as the root cause of so many problems regarding human rights violations, as well as explains why the modern concept of human rights hardly convinced Thailand’s leading Buddhist monks of its logical foundation and its practicality. However, both Buddhadasa and Phra Promgunabhorn did not negate the raison d’etre of the human rights regime operating in various regions. Rather, they warned against the danger of ignorance, partiality, hatred and prejudice inherent in our human nature as factors detrimental to the world’s peace and justice. Interestingly, Buddhadasa and Phra Promgunabhorn share a common view that overall modern education does not recognize the importance of ethics. As a result, modern men are still driven by greed, self-centeredness and self-interest.